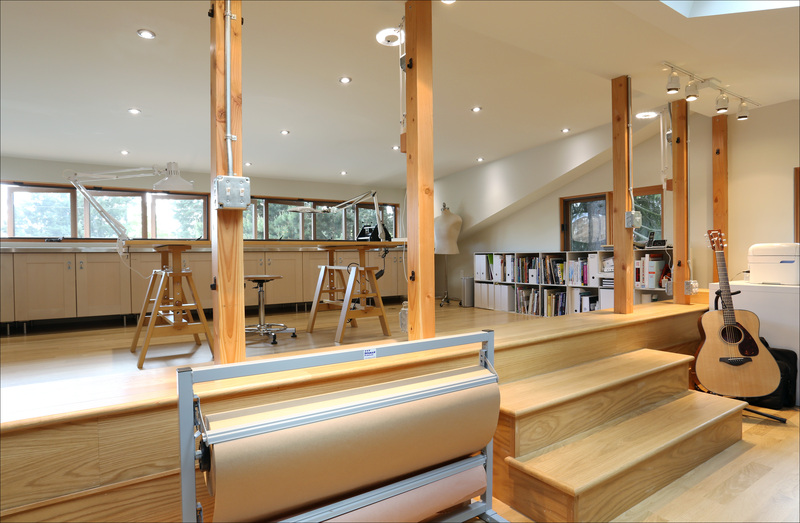 Recently, we checked in with Judy, a recent Arciform client, to see how she is settling in to the art studio we helped her to create above her garage. Here’s her take on the project. Arciform asks: What were your goals for this project? I had two primary goals; first, to bring light and air into the attic space (which was dark with no functioning windows) and, second, to enlarge the usable space. 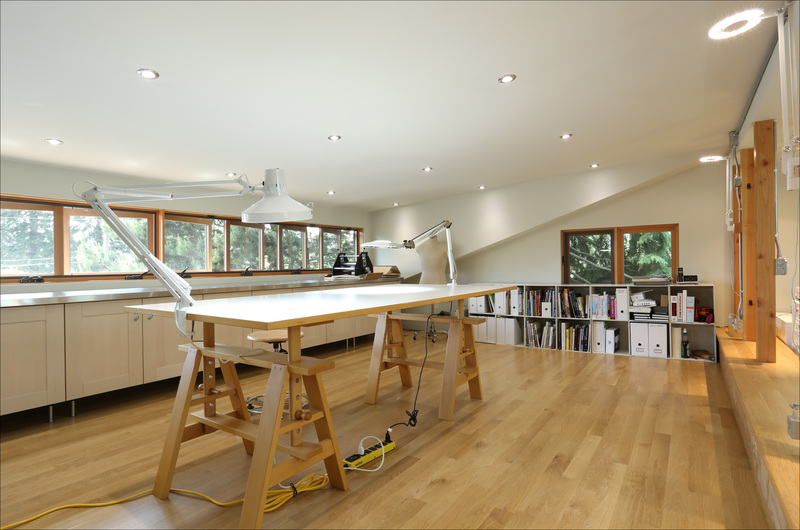 By creating a large dormer window, which allowed us to raise the ceiling height for the unusable part of the floor space (and increase its size) we effectively doubled the studio. 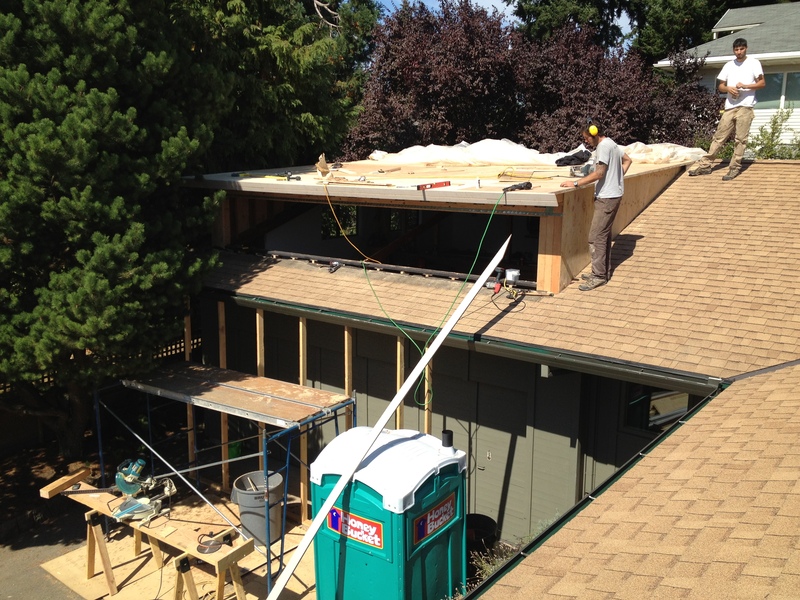 Not only did we install the dormer, we replaced the two non-functioning windows and added three skylights. The studio feels like a tree house! It is a wonderful contrast to the shaded and quiet feel in the rest of the house. Arciform asks: What challenges did the project face? The biggest challenge was how to raise part of the roof without messing up the lines of the house yet still provide enough interior space for one to walk around upright. It worked out well. Arciform asks: What is your favorite part of the completed project? 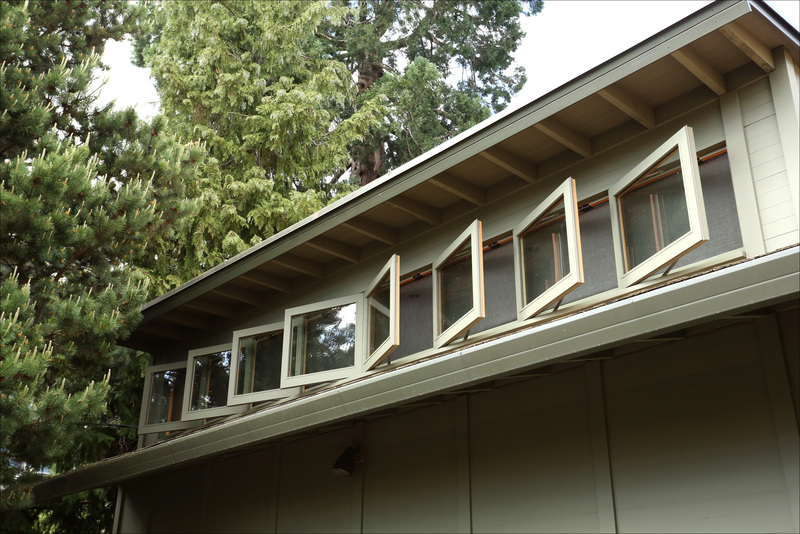 We designed a non-traditional dormer that allows windows to open in the same (rather than alternating) direction. Thus, rather than the windows blocking airflow, one can angle the windows to capture breezes and direct them into to studio. In addition, the windows are conceived as one continuous block of windows–without dividing elements–so that when they are open nothing blocks the air or view. 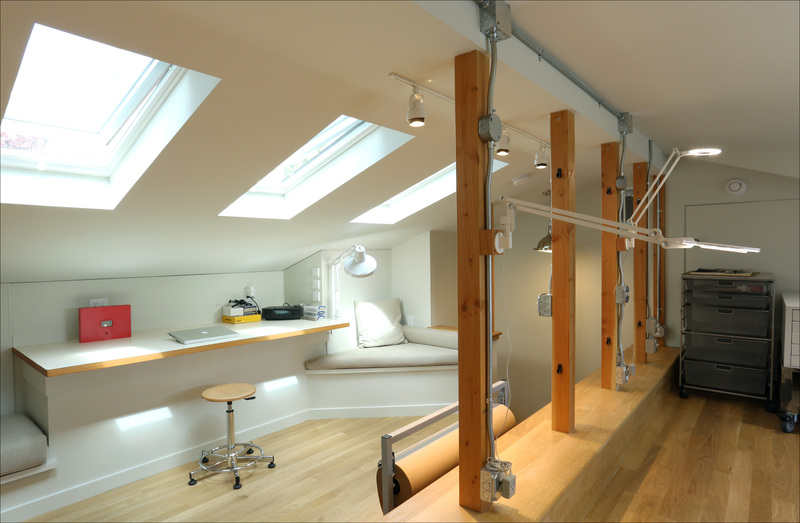 We also designed a clever way to add usable vertical surfaces to a studio with virtually no wall space, Between the old and new parts of the studio are a row of wood columns (about 30″ apart) that support the roof. We created a series of removable panels that can be inserted between each pair of supports. One side of each panel is cork, the other is whiteboard. Arciform asks: Tell us about the experience of working with Arciform. They were great. They quickly understood my intentions and solved the most critical problem, maintaining the roof line. My project manager worked out the details of the panel concept and “made it work.” The dormers are truly beautiful. Building them this way was a first for us all. It took work to get the details right–particularly because I also wanted screens! I appreciate Arciform’s creativity and willingness to work with me on whatever hair brained idea I have. 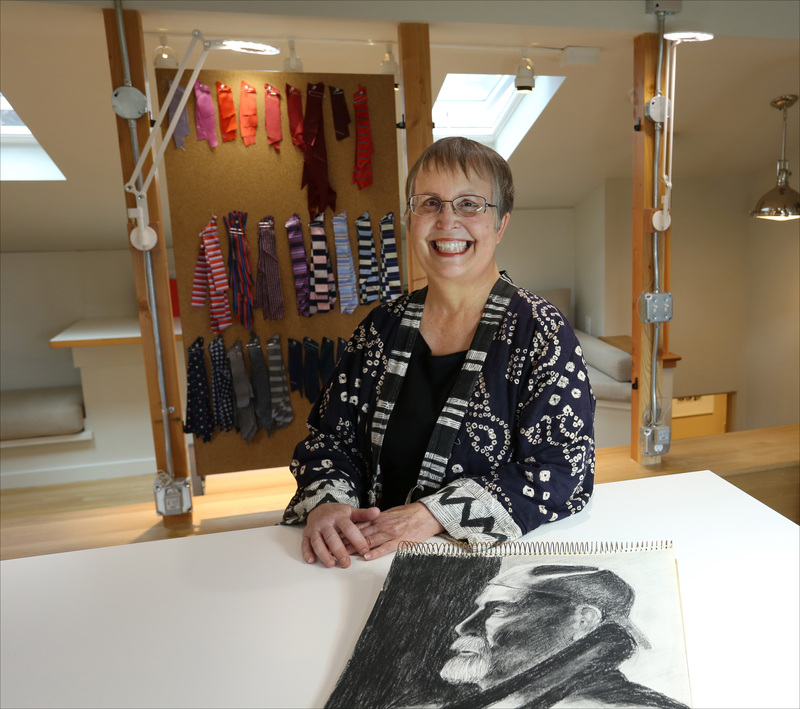 We loved working on this unique project with Judy and we look forward to seeing what intriguing artistic projects she creates in the space! ← First Repair Café a Success!